Stelfox, Martin “Ghost Gear, The Silent Killers in Our Oceans“. Current Conservation Magazine Vol. 12 Issue 2, 2018:1 8-19. Stelfox, Martin, Jillian Hudgins, and Michael Sweet. “A review of ghost gear entanglement amongst marine mammals, reptiles and elasmobranchs.” Marine Pollution Bulletin 1.111 (2016): 6-17. Dunbar, Stephen G., Jillian Hudgins, and Claire Jean. “Meeting Report for the 1st Photo ID Workshop, 36th Annual Symposium on Sea Turtle Biology and Conservation, Lima, Peru, 29 February 2016.” Marine Turtle Newsletter 151 (2016): 32. Stelfox, M. R., et al. “High mortality of Olive Ridley Turtles (Lepidochelys olivacea) in ghost nets in the central Indian Ocean.” BOBLME-2015-Ecology-14 (2015): 1-23. Below you will find educational resources from Olive Ridley Project’s workshops on the impact of ghost nets in the Maldives. Our workshops aim to spread awareness in local communities and tourist resorts about the impact of ghost nets in the Maldives, and to educate citizen scientists in safe ghost net removal and disposal, entangled marine organism rescue, and accurate data collection. 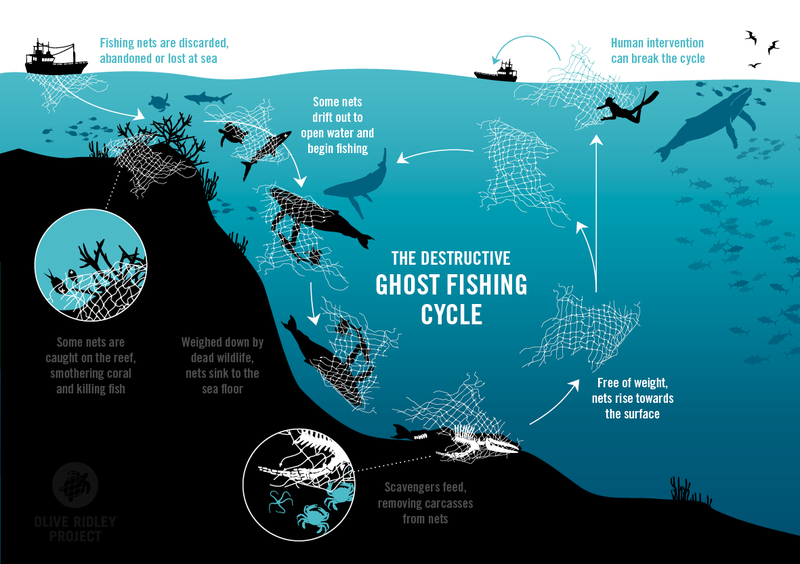 This poster shows the devastating cycle of ghost gear if it reaches the open ocean. This was developed through the financial support of The Rufford Foundation. It was used to educate local divers and fishers on the cycle of the problem in Pakistan. This poster entitled “Assessing population of sea turtles in the Maldives using Photo-ID: First results of a citizen science project” was displayed at the International Sea Turtle Symposium in 2017. This poster entitled “Using citizen sciene to monitor sea turtle populations in real-time around two Maldivian islands” was displayed at the International Sea Turtle Symposium in 2017. This poster entitled “The Potential for a citizen science Photo ID program to better protect marine turtles in the Maldives” was displayed at the International Sea Turtle Symposium in 2016 in Lims, Peru. This poster entitled “High Number of Olive Ridley Turtles (Lepidochelys olivacea) in Ghost Nets in the Indian Ocean” was displayed at the 35th International Sea Turtle Symposium in Turkey. This poster brought the problem of ghost gear to the scientific turtle community. ORP’s founder Martin Stelfox also gave a short presentation at the Indian ocean Regional meeting on the need for collaboration in data collection. 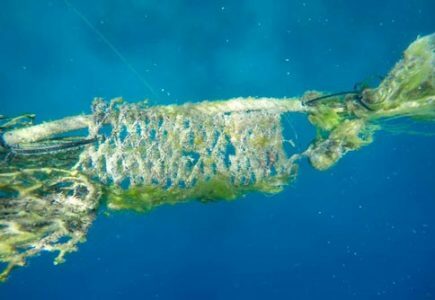 The Olive Ridley Project and the Marine Research Centre, funded by the Bay of Bengal Large Marine Ecosystem, produced a leaflet to highlight the number of Olive ridleys entangled in ghost gear between 1988 – 2014 in the Maldives. Available in both English and Dhivehi. Thanks to Susie Gibson for the graphic design. Published 2015. “The Olive Ridley Project year one” is a info-graphic booklet that describes ORP’s first year results in graphic format. This was presented at the Global Ghost Gear Initiative (GGGI) first round table in Slovenia. The GGGI is a global alliance of NGO’s, IGO’s, Private sector, and fishers working towards preventing ghost gear on a global scale. We are a dedicated member of the GGGI and represent the few organisations from the Indian Ocean region. We thank our funders Global Blue and our technical partners IUCN for the making of this booklet.